The rich ecommerce players are looking to spend around 20-30% this festive season, with ad rates inclined to rise by 10-15% with an aim to entice more consumers than the year before when they branched out Rs. 1000 Crore. Paytm that had spent just about Rs. 60 Cr last year, jumps almost five fold today by lining up Rs. 300-Rs.400 Cr. Vijay Shekhar Sharma, Paytm founder justifies that as the consumer spending goes up during the festive season, so does the frequency of promotions. Raj Nayak, the CEO of Colors, Viacom 18’s entertainment channel is certain that ecommerce players will spend more in the wallet companies. Revenue and Strategy Director of HT media, Arun Anant confirmed that the ad rates are likely to rise by 10% and the advertising spends is expected to observe 50% jump. Last year Amazon India and its rival Flipkart had spent close to Rs. 200 Crore and Rs. 175 Crore respectively during the festive season. 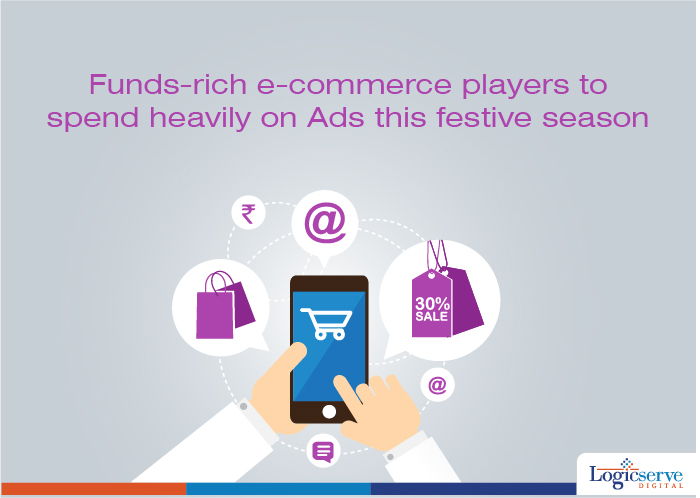 This year too, the ecommerce giants hope to gain higher from the opportunities festive season brings with it.